Greek, Etruscan, & Roman Bronzes (MFA), no. 303; Sculpture in Stone and Bronze (MFA), p. 122 (additional published references). 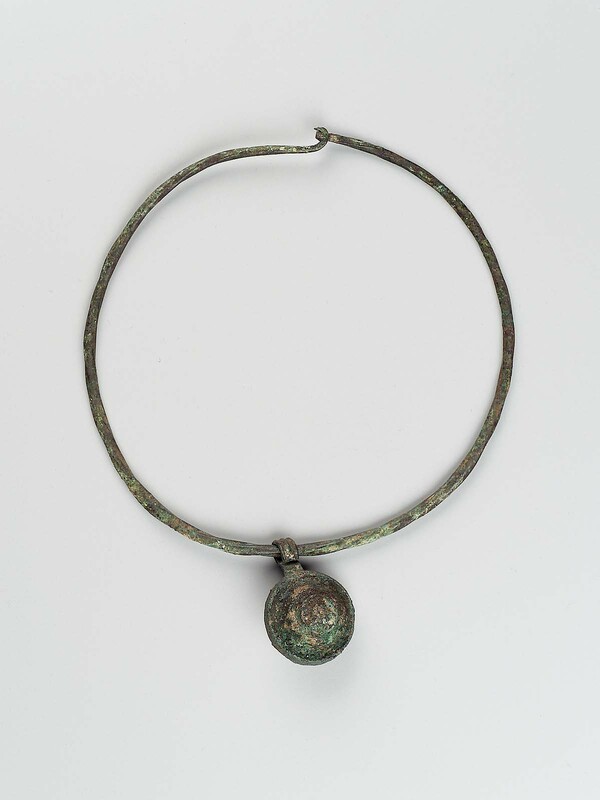 A slightly twisted bronze wire is in circular form, with hooks at the ends; a heavy, round pendant hangs on it. The pendant, cast in two pieces and perhaps filled with something, has concentric ridges and a boss in the center on either side. Crusty green patina. Much corroded.